Synopsis : News and information regarding medical marijuana and cannabis use by humans for pain, psychological, and medicinal purposes. 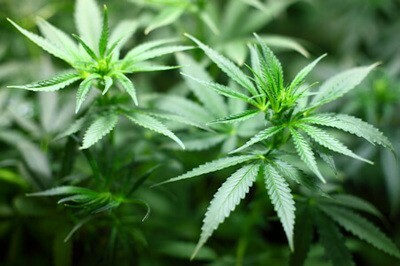 Medical Cannabis, also known as Medical marijuana, refers to the use of cannabis and its constituent cannabinoids, such as tetrahydrocannabinol (THC) and cannabidiol (CBD), as medical therapy to treat disease or alleviate symptoms most notably as an antiemetic - a drug that is effective against vomiting and nausea. In the 1970s, a synthetic version of THC, the primary active ingredient in cannabis, was synthesized to make the pharmaceutical product drug, Marinol. Marinol is widely available through prescription. It comes in the form of a pill and is also being studied by researchers for suitability via other delivery methods, such as an inhaler or patch. The active ingredient of Marinol is synthetic THC, which has been found to relieve the nausea and vomiting associated with chemotherapy for cancer patients and to assist with loss of appetite with AIDS patients. Marijuana is one of the most beneficial and therapeutically active substances known to man. The cannabis plant has been used for medicinal purposes for approximately 4,000 years. Writings from ancient India confirm that its psychoactive properties were recognized, and doctors used it for a variety of illnesses and ailments. These included a whole host of gastrointestinal disorders, insomnia, headaches and as a pain reliever frequently used in childbirth. Its usage in modern times is controversial. Close up photography of the top of green marijuana leaves on a juvenile cannabis plant. AIDS - Marijuana can reduce the nausea, loss of appetite, vomiting from the condition itself and the medications as well. Glaucoma - Marijuana relieves the internal eye pressure of glaucoma, and therefore relieving the pain and slowing or even stopping the condition. Cancer- Many side effects of the medication to stop cancer can be relieve with Marijuana, some studies suggest that Marijuana tends to slow down the progress of some types of cancer. Multiple Sclerosis - Muscle pain, spasticity, tremors and unsteadiness are some of the effects caused by the disease that can be relieved by Marijuana. Epilepsy - in some patients, epileptic seizures can be prevented with Marijuana use. Chronic pain - Marijuana helps to alleviate the pain caused from many types of injuries and disorders. Recent studies have shown the drug to be efficacious in treating mood disorders and mental health issues such as depression, post traumatic stress disorder, clinical depression, obsessive-compulsive disorder, panic disorder, and bipolar disorder. As a bronchodilator it is beneficial for asthma patients. It can also reduce intraocular pressure and is indicated for glaucoma. In addition it is also indicated for premenstrual syndrome, hypertension, and insomnia, and is also reported to be an effective treatment for constipation and alcohol hangovers. Cannabis also acts as an antispasmodic and anticonvulsant and is indicated for neurological conditions such as epilepsy especially complex partial seizures, multiple sclerosis, and spasms. As an analgesic and an immunomodulator it is indicated for conditions such as migraine, arthritis, spinal and skeletal disorders. Many obsessions or quick fixes to psychological problems can be elevated by Marijuana as well. Many people eat because they're depressed. If the depression is treated, the obsession to eat should be gone as well. Any of these physiological conditions can be treated by a psychiatrist; marijuana should be an alternative therapy, used in conjunction with psychiatric therapy. Marijuana can be used to enhance personal Spirituality. The herb tends to reveal your true self. It uncovers inner confusion and reveals your true direction - if you let it. Marijuana offers an effect that is both energizing and relaxing at the same time. This balanced effect will help some to think more clearly and more efficiently afterwards. "Marijuana can act as the loosening agent, so that whatever has been banned from consciousness may come cascading forth. To uncover our deceptions without our usual rationalizations can be unpleasant, an experience that has turned many psychologically fragile individuals away from marijuana despite its therapeutic catharsis." - Joan Bello. There have been testimonies from opiate users that report an easing of addiction cravings. Some cannabinoids in cannabis are believed to have similar effects as Ibogaine, a medication used to treat heroin addiction. The cannabinoids in Marijuana mimic the healing effects of a naturally occurring chemical in the brain called Anandimide. However, this naturally occurring cannabinoid also produces the negative effects that one would experience from high concentrations of cannabinoids in marijuana. U.S. Medical Cannabis Protections Extended to 46 States - Medical cannabis patients and businesses are protected from federal intervention after President Trump signed the new spending bill into law. Medical Cannabis Significantly Safer than Opioids for Seniors with Chronic Pain - Research shows medical cannabis therapy can significantly reduce chronic pain in patients age 65 and older without adverse effects. Medical Marijuana for Pain Treatment in Elderly Patients - Cannabis has gained popularity as an alternative to opiates for the treatment of pain in seniors. Medical Marijuana for Children with Epilepsy - Some parents have seen positive results in children with epilepsy that have been receiving CBD rich marijuana extracts. Cannabis Infused Health & Fitness Drinks - PyoorCBD announces they will distribute Cibamine Xtra CBD Infused Drink Additive and 7 Hour Sleep Formula for the U.S. Market. Citation: Disabled World. (2019/04/02). Medical Marijuana: Disability and Health Uses. Retrieved 2019-04-22, from https://www.disabled-world.com/medical/pharmaceutical/marijuana/ Direct Link: Medical Marijuana: Disability and Health Uses - News and information regarding medical marijuana and cannabis use by humans for pain, psychological, and medicinal purposes.